In the event of a five-way tie, the audience vote will be used to save one book from elimination. 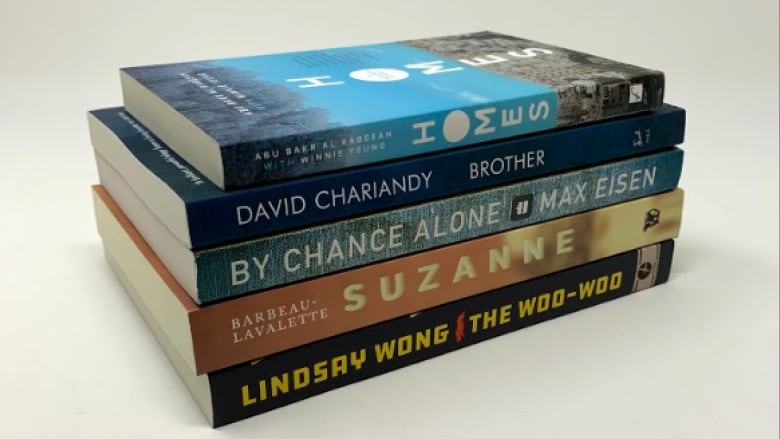 It's almost time for Canada Reads 2019! Over four days, the five defenders will bring their diverse perspectives to this year's theme: One Book to Move You. We want to hear from you: which of these titles is your favourite? Cast your vote in the survey below! Having technical difficulties and can't see the survey? Cast your vote here! In the event of a five-way tie (and ONLY a five-way tie), this survey will be used to break the tie. A five-way tie occurs if each panellist votes against a different book on day one, meaning that each one of the five books in contention has received one vote for elimination. The tie is broken by this audience survey. The book with the most votes will be saved, and cannot be eliminated. The panellist who voted against that book must cast a vote to eliminate another book, thus breaking the tie. This survey will NOT be used to break a two-way tie. You can read about how Canada Reads breaks ties here. The debates, which will be hosted by Ali Hassan, take place March 25-28, 2019.